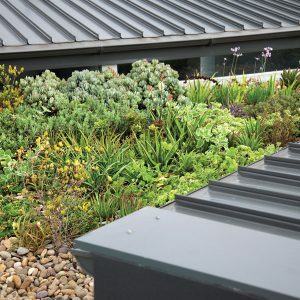 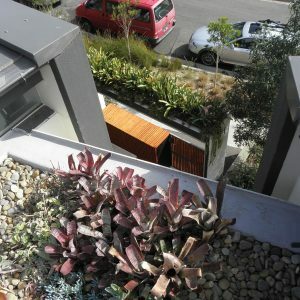 Roof Garden Planting with view to street. 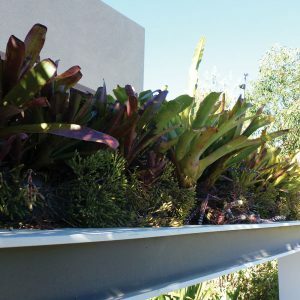 This residential project has 3 levels of engineered plantings in varying media depths of green roof construction (100mm-600mm depth) with mounding to create soil depth. 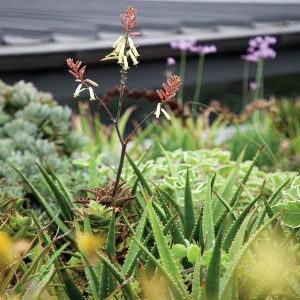 Epiphytic and lithophytic plants with terrestrial planting in deeper media allows native sedges and orchids to prosper.